Tight But Loose » Blog Archive » YOUR GUIDE TO LAST MINUTE TBL CHRISTMAS GIFT IDEAS! 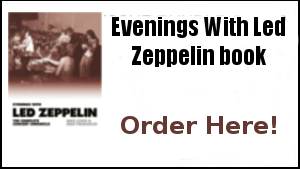 So either bag a subscription as a Christmas gift – or indulge yourself for another year of essential Zep reading. 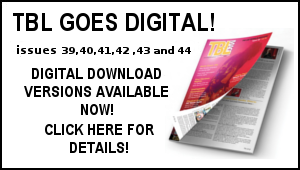 This is another great Christmas gift idea from TBL . If you have yet to invest in this limited edition hardback book now is the opportunity. If you have already got the book –why not buy it as a gift for someone who will find the unique content the perfect Zep gift this Christmas? 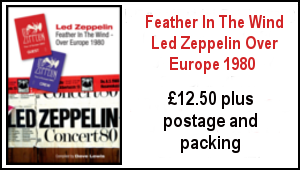 Then As It Was –Led Zeppelin At Knebworth 30 Years Gone, written by Dave Lewis, is another perfect gift for Led Zeppelin fans old and new this Christmas. *This limited hard back edition comes individually numbered and signed by the author. 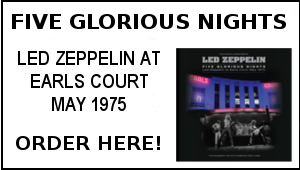 This is an opportunity to invest in what is sure to become a much sought after Zep collectable – the limited run is selling down fast so order now to avoid disappointment. *Personal Dedication: In ordering the book you have the option for Dave Lewis to personally dedicate the book to the lucky recipient to create a unique gift. Please state who you would like the book dedicated to and any inscription request via your order (pay pal users can fill in details on the ‘’Instruction to Merchant’’ box on their pay pal order form). The TBL Limited Edition Earls Court 35th anniversary T. shirt – this is a Fruit of the Loom Super Premium quality white shirt with the Jimmy Page with Stratocaster Earls Court image in black. 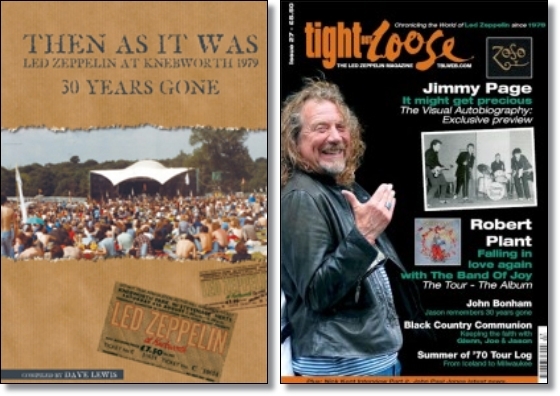 If you have yet to subscribe, or have missed a recent issue, here’s an opportunity to catch up with recent issues of the Tight But Loose magazine. All orders for TBL products will be fulfilled and despatched as received for delivery as soon as possible.